Think of how many ways you have damaged your mobile phones over the years. I dropped one in the sand at the beach, another in the snow on a ski slope and left one more outside all night in a heavy rain storm. A company called ToughGear has a prescription for serial phone abusers, outdoor sports lovers and anyone else who who might put their phones in harm’s way. 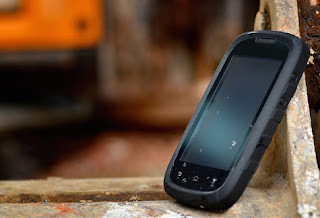 It’s called Solid and it’s an ruggedized Android smartphone that just about anyone can afford. Solid is waterproof, shockproof and dust proof and has an IP67 certification, which means it’s dust resistant and able to survive being submerged a meter of water for half an hour. It has a 4-inch Gorilla Glass screen and a rubberized case with rounded corners, which helps it survive a drop on a hard surface and makes it easy to hold with one hand. Inside the Solid is a dual-core processor running Android version 4.2 and a network chip that supports 2G GSM and 3G WCDMA phone networks. The price tag for the Solid is $179, which is significantly less than many phones with comparable specs. You can get a closer look at the Solid and order the phone at the ToughGear website.